Air‌b‌nb‌‌ is an online marketplace and hospitality service that works through a mobile app and website. It matches homeowners with guests around the world, using the service to arrange short-term homestay lodging or tourism experiences. The company then receives commissions from every booking. However, as with many other businesses in the gig economy, the laws governing the rights and responsibilities of the landlord and their guests are poorly defined, and this can have serious consequences. In 2016, four people were seriously injured when the balcony of a Brighton flat they rented via Airbnb collapsed. While the lawsuit against the room-sharing company has since been settled, the lack of regulation means that there has been no investigation into, nor enforcement against similar rentals, as responsibility for this bounced between Health and Safety Executive (HSE) and the local City Council. While we are not privy to the terms of the settlement between Airbnb and the plaintiffs in this incident, we can venture that there will be an impact on the homeowner’s insurance. Many homeowner insurance policies have an exclusion for business-related activities, and this is where Airbnb hosting enters a legal grey zone. If a guest suffers an injury and lodges a claim against the landlord, or if the landlord claims property damage due to unruly Airbnb guests, insurance may not cover these contingencies. Airbnb does offer a Host Protection Insurance, but it does not take the place of homeowners or renters insurance or offer adequate liability coverage. There may be local planning regulations dictating how long you can rent out your property before it becomes subject to new costs. In England, for example, a property that is available to let for 140 days or more per year will be rated as a self-catering property and valued for business rates. If you have a mortgage on the property being let out, check that it allows subletting. The mortgage company has a legal interest in the property and may have terms that prohibit subletting for profit. If you are leasing the property that you are advertising on Airbnb, then you are almost certainly in breach of your tenancy agreement in regard to subletting. You may believe that Airbnb would be responsible for any issues that happen when tenants are leasing your property from you, but it is actually your responsibility to make sure the people who stay with you are kept safe. Ensure that your property is properly maintained for structural, fire, gas and electrical safety. So how can you protect yourself and your guests? First and foremost, you should check with your local planning authority for any restrictions against short-term rentals. You should also study your mortgage and insurance for any terms and exclusions that may prohibit letting out. Secondly, post a list of what is and isn’t allowed for guests on your property. Alerting them to any potential dangers early and warning them of the risks will give you some indemnity should things go wrong later. Regardless, you should make sure that you have adequate insurance coverage in the event of any injury claims filed against you, as it would be financially ruinous for you to face any legal action on your own. You may have read some nightmare stories about rogue Airbnb guests who have trashed the premises and refused to vacate when ordered to do so. As a landlord, it’s vital that you know your options in the event of a dispute with a guest. Airbnb provides some assistance in the form of a security deposit and an online resolution centre to mediate any arguments. There are some complicated rules governing the eviction of short-term tenants, and the landlord is often at the mercy of a system that prohibits them from removing an errant occupant. Apart from the above considerations, a landlord would also have to take note of what taxes they may be liable for. The government’s Rent a Room scheme currently allows individuals in the UK to earn up to £7,500 per year tax-free from letting out rooms in their home, or the entire property. A new draft Finance Bill, however, will require the person who is renting out the home to stay there for at least part of the let or pay tax on the earnings. At Romain Coleman Solicitors, we exclusively work for landlords. If you want legal advice on your status as an Airbnb landlord, contact us today on 0207 520 4555 or contact us through our contact form and we’ll be happy to help you. 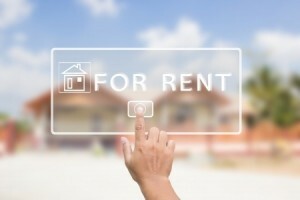 Considerations when renting your commercial property?